Happy Valentine’s Day! Does anyone else love this celebration of love as much as I do? There’s romance and excitement and passion around every corner. People are taking the time to really appreciate – and express that appreciation – for the ones they love today. Are you? Have you taken the time to show love to your significant other, your parents, your children, or your coworkers? What about yourself? What’s that I hear? Crickets? Why is it that the hardest person to show love to is the person we each know better than anyone else? I'm sure I know part of the answer to that question. It's because we know ourselves better than anyone else. After all, we know all our secrets, all our innermost thoughts, the things we would never even whisper into the darkness. Are those things really lovable? You are lovable. You are loved. And you deserve to love yourself. You deserve to have your needs - all of them - met. So, how can you show yourself love? First, begin with appreciation. Appreciate what you can do: physically, emotionally, professionally, relationally, anything! What are you good at? What makes you, you? Why do people love you? And don't forget your body and what it can do for you. Can you walk? Can you run? What about emotionally? Are you a survivor? Are you strong? Are you empathetic? Are you gentle? Celebrate those things! Celebrate yourself, especially today! Appreciate who you are. 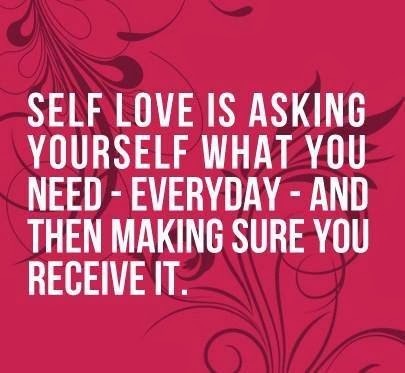 Secondly, show yourself some love by taking care of yourself. Get moving and fuel your body with healthy foods. Eat well; eat often. Stress your body (in a good way) with physical challenges to make yourself stronger. Sleep. There's a quote I've read often that says "Take care of your body. It's the only place you have to live." 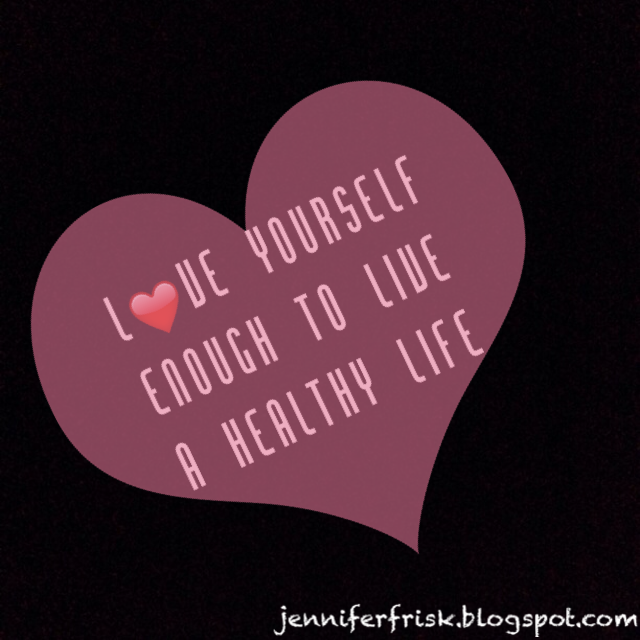 Love yourself enough to live a healthy life. And finally, show yourself love by giving yourself grace. You know those things you keep from the world? Those things are ok. Give yourself a break. Don't keep yourself under a microscope. You are enough. You are precious. And you are loved. Love yourself as well.